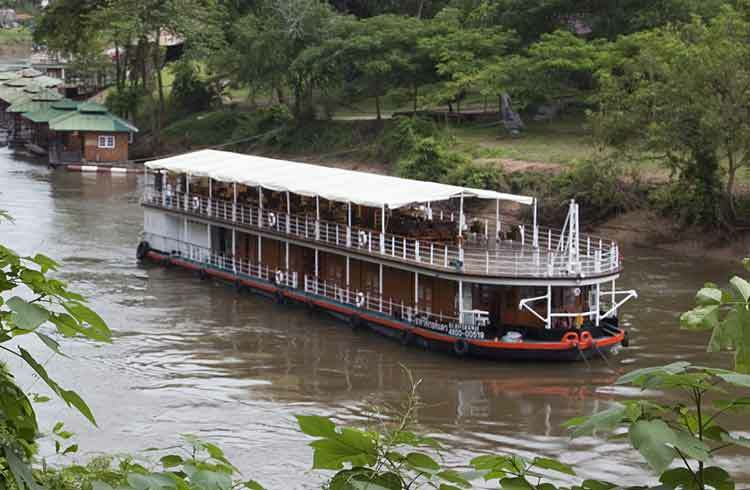 This seven day adventure cruise takes you on a magnificent journey along the river and through history. You’ll enjoy day trips to some amazing Thailand historical and religious sights. Bring your camera and experience with us: waterfalls, buddhist temples and of course, the bridge over The River Kwai – made famous by the 1957 movie about the prisoners of war that built the bridge. Which was subsequently destroyed by American bombers. With plenty of leisure time you can enjoy river rafting or canoeing, get a traditional Thai massage or simply lounge around on deck and enjoy the warm sun. Together we’ll make merit in Buddhist style by offering foods to the monks at their temple, visit a boarding school built for refugee children by the H.R.H. Crown Princess Sirindhorn and explore Thailand in a most-unique way. Of course, for the golf enthusiast we also offer a seven day golf cruise including rounds at some of the areas finest golf clubs. For more details on the adventure cruises and the seven day golfing package as well as a full itinerary for this seven day cruise click on the details buttons below.